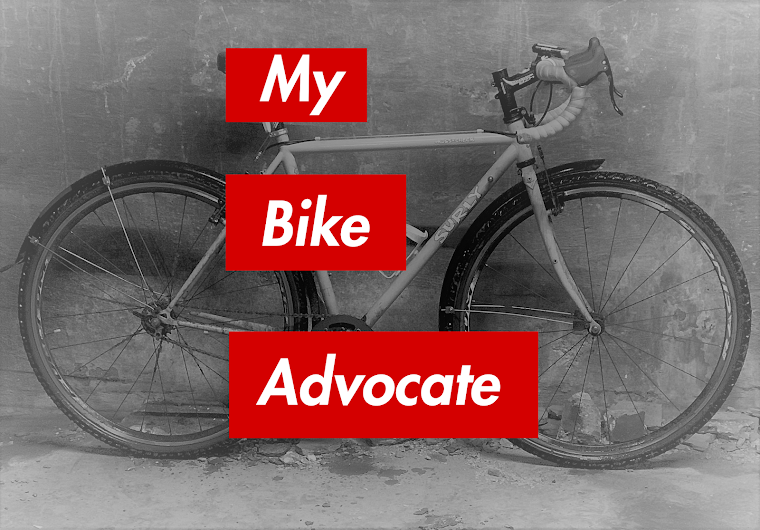 My Bike Advocate: The Long Winter and the State of Bike Lanes in Chicago. I don't typically ride west, but I can say the 31st st eastbound lane has been lousily maintained this winter. There are 3 specific spots that have never been plowed, and in fact, one is a dump pile for plows from somewhere that created a huge mound that has been there since the first big snow of the season. The snow (now ice) pile is the area under the green line on 31st. The other two areas are 31st and Rhodes on the southwest corner and the entire overpass for Metra electric, neither of which have been cleared of snow since the beginning of the season and now are home to impassible icy mounds that won't be gone until everything melts. Despite numerous postings about the problem and emailing CDOT directly, nothing has changed. Yeah, I predicted that protected bike lanes would be seen as a convenient place to pile snow in the winter months. It seems that some neighborhoods get different treatment when it comes to bike lanes. Thanks for sharing. Send a pic if you get a chance. Just rode Elston this morning (3/10/2014) from N. Central Ave. to Milwaukee; 80-90% of the parked cars are completely or partially blocking the bike lane due to snow not being plowed to the curb. The protected lane is full of debris.